Freshly harvested neck pumpkins in a wooden crate. 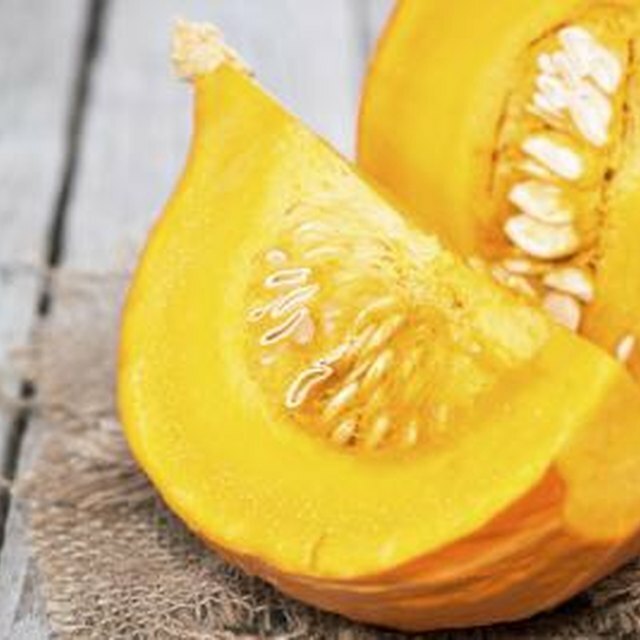 Neck, or crookneck, pumpkins fall into the category of squash and come in summer or winter varieties. 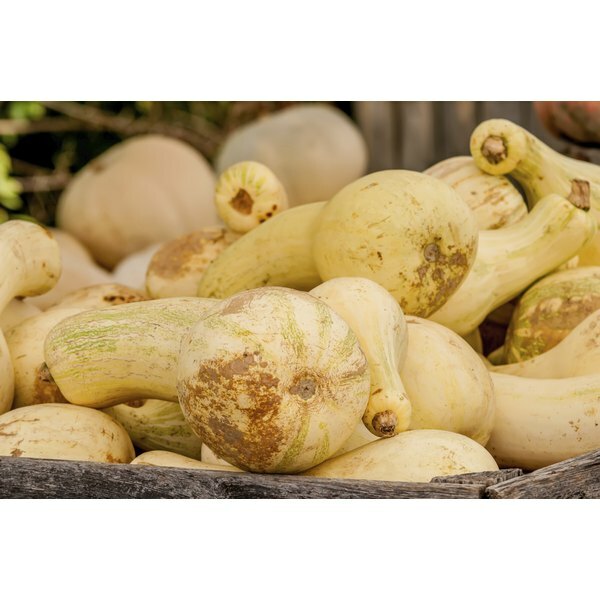 Squash is a broad term that describes edible gourds and includes different types such as zucchini and butternut. Crooknecks have a structure similar to yellow squash but with an orange-yellow tint. Methods to cook pumpkin are the same whether you choose the round or neck strain. The key is to soften the pumpkin by baking or boiling it. Wash your neck pumpkin under running water to clean debris off the surface. Slice the pumpkin in half and remove the seeds from the center with a spoon. Scoop out the stringy flesh. Wash the inside of the pumpkin under running water to remove any remaining seeds. Cut the pumpkin into chunks. The size of the chunks is not crucial. Just slice the gourd into sections. Fill a large saucepan with 1 inch of water. Place the pan on the stove and bring the water to boil. Add the pumpkin sections to the boiling water. Once the water begins to boil again, reduce the heat on the burner to "Medium." Simmer the neck-pumpkin chunks in the water for 30 minutes. Dump the cooked pumpkin into a colander to allow the pieces to drain and cool. Once you can handle the pumpkin comfortably, peel off the rind with your fingers or use a knife if necessary. Mash the remaining part of the pumpkin with a fork or potato masher for use in a recipe. Place the neck pumpkin into a baking dish, with the rind pointing up. Add 1/4 inch of water to the dish. Set the baking dish in the hot oven. Bake the neck pumpkin until it is tender. The time will depend on the size of the pumpkin. Poke the rind with a fork. When the tines slide through easily, the pumpkin is done. Remove the rind and mash to pumpkin once it cools. Add seasonings to the baked pumpkin while it is still in the oven for a distinctive dessert. When the pumpkin is almost fully cooked, flip the pieces over. Saturate the pumpkin chunks with butter, brown sugar and cinnamon. Serve the gourd with spoons and a dollop of whipped cream. Allow the pumpkin to cool thoroughly before attempting to handle the pieces.